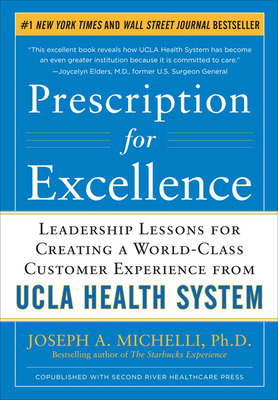 Guest post by Joseph Michelli, author of Prescription for Excellence: Leadership Lessons for Creating a World Class Customer Experience from UCLA Health System. In a nutshell, leaders listen, serve well, and champion service as part of a higher calling. In return, their people follow, believe, and achieve great things. All of that, results in engaged and loyal customers. What lesson is in there for you? My first job as a manager felt a lot like my first months as a parent. I had all the requisite “book knowledge” but something was fundamentally missing. How was I going to approach the daunting responsibility of helping people grow their gifts and talents? How could I take a disparate group of people and rally them behind a compelling cause while vigilantly celebrating their victories and attentively holding them accountable for results on key performance indicators? Thirty years later, I still face those questions but with much greater peace-of-mind. For me, most of the answers to difficult leadership questions become clearer when I shift my focus off of me and onto the people I am entrusted to serve. In my book Prescription for Excellence: Leadership Lessons for Creating a World Class Customer Experience from UCLA Health System, CEO David Feinberg M.D. sets out to shift the focus of an entire health care system (hospitals, research facilities, clinics and medical school). Having inherited one of the top-tier medical facilities in the world, he tasked his people with bringing the patient experience up to the level of UCLA’s amazing clinical, research, and training outcomes. 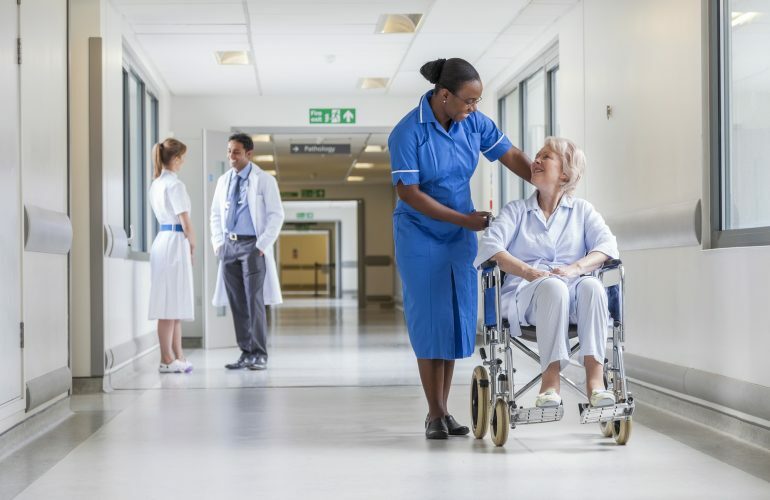 While UCLA was delivering revolutionary medical breakthroughs and treatment, their customers were rating satisfaction with the overall experience at or near the 30th percentile. David’s consistent and gentle persistence in starting meetings with patient care stories, exemplifying compassionate listening, requiring leaders to depart the safety of their offices and round with their people and customers essentially set into motion a service culture transformation that catapulted UCLA Health System into the stratosphere of customer satisfaction scores (well-above the 95th percentile and earning UCLA a place atop all other medical training facilities). The lessons learned from David Feinberg and his UCLA team are timeless and they fundamentally cross all business sectors. In a nutshell, leaders listen, serve well, and champion service as part of a higher calling. In return, their people follow, believe, and achieve great things. All of that, results in engaged and loyal customers. What lesson is in there for you? Joseph Michelli is the bestselling author of Prescription for Excellence, The Starbucks Experience, and The New Gold Standard.